Edvald Boasson Hagen came the closest yet to taking a bunch sprint for Team Sky after he finished second in the opening stage’s bunch sprint finish of the Tour of Oman, a 60 kilometre evening crit held in front of massive crowds on the seafront at Muscat, Oman. 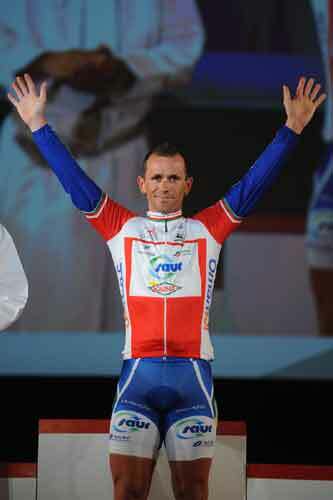 The win went to Frenchman Jimmy Casper (Saur-Sojasun). Already third and sixth in bunch sprints in the Tour of Qatar, Boasson Hagen was perfectly set up for the sprint by team-mate Chris Sutton after Sky had repeated their Qatar tactic of sweeping en masse to the front with just a few kilometres to go. However, the 22-year-old Norwegian, a former winner of the Tour of Britain, ran out of gas within a few metres for the line, losing the race by a less than a bike’s length. Boasson Hagen was disappointed afterwards not to be able to finish off Sky’s excellent teamwork but as team sources said, it was a great result considering he is a long way off his top form and it is his third top placing in almost as many days. The team cars will also be well-positioned in tomorrow’s first real road stage thanks to his second place, and Boasson Hagen should be easy to spot, too – he’s leading the Best Young Rider’s competition, and will wear the white jersey that goes with that first place. 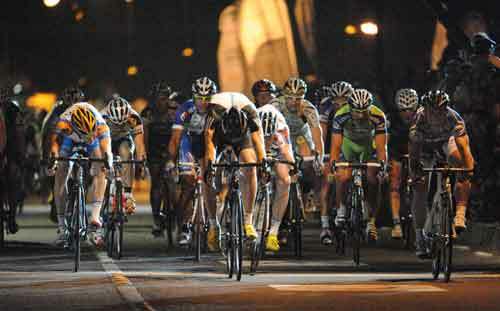 The race itself drew massive crowds, far bigger than at the Tour of Qatar, and the seafront setting, giant television screens, low street lighting and a short, fast circuit all made for a highly atmospheric evening’s racing and successful start to professional cycling’s newest event. 10. Lucas Sebastien Haedo (Arg) Saxo Bank all same time. 124. Ian Stannard (GB) Team Sky all same time.